The Yakanal cultural exchanges are spaces where we, young native people, have the opportunity to express our feelings and, above all, to convey the ancestral wisdom that has been entrusted to us by our grandparents. There is a need for opportunities involving youth and elders to share traditional knowledge and learn from each other and from the power of ancestral lands. Building leadership capacity in youth for their future role as culture and tradition bearers includes preparing them to walk in two worlds while ensuring that they feel strong in their indigenous underpinnings and confident in engaging with other cultures without jeopardizing their cultural identity. 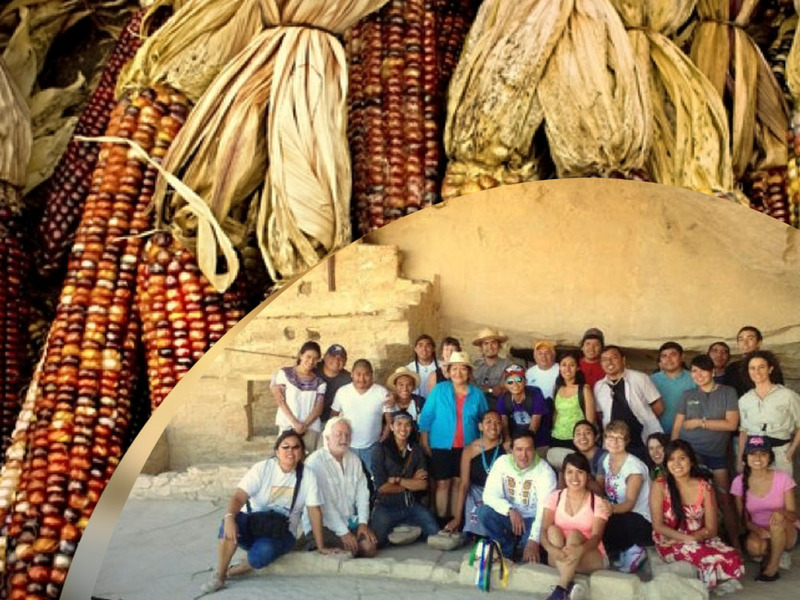 Cultural exchanges and visits to diverse ancestral lands and contemporary indigenous communities provide authentic and unparalleled experiences that nourish the heart, spirit, and intellect of participants taking into account the interests of native youth in cross-cultural immersion and the use of state-of-the-art technologies. As a result of cultural exchange gatherings, the youth take ownership of the need to raise awareness in our communities about the importance of preserving native seeds, traditional agricultural knowledge, and native food ways.